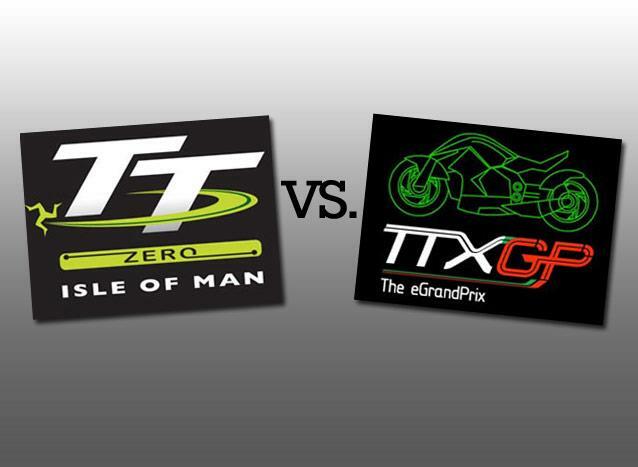 The battle for custody of electric racing has taken a new turn, with Isle of Man government and TTXGP organisers issuing conflicting statements as to the reasons for the split. 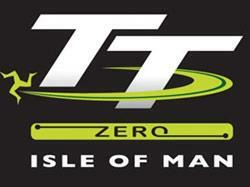 The Isle of Man cites TTXGP’s plans for a Paris event too close to the TT and a refusal to accept financial terms as the reasons for the rift. TTXGP boss Azhar Hussain says: “I can confirm the question of Paris or issues of financial packages were not factors in the decision making and am disappointed that it is being suggested so. We remain surprised about the decision”. Both statements appear in full below. Last week the Isle of Man government issued another release defending its decision to move the zero-emissions race to a lower-profile Wednesday slot, insisting it wasn’t a downgrade. Critics say they protest too much, and the quiet abandonment of plans considered by proponents of electric racing to be essential to its development as confirmation the event’s integrity is on the slide. The proposed two-lap format has been cut to one and streamlining has been banned. Folllowing the split, TTXGP have announced a fourth North American round, at the historic Road America Elkhart Lake circuit from 3-6 June – dates that effectively debar US electric race teams who wish to take part in TTXGP’s series from entering the TT’s emissions-free event, TT Zero. "The Department began formal negotiations with the TTXGP Ltd team in July 2009 with a view to running another clean emissions event on The Isle of Man in 2010. On 2 September 2009, the Department formally agreed in principle to run an event and this was confirmed in writing to TTXGP Ltd. A proposal, including a financial support package, was communicated to the TTXGP team on 7th October, 2009. This proposal was rejected by the TTXGP Ltd management team. 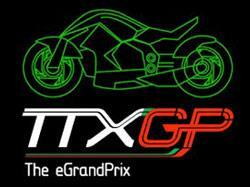 Subsequent to the original proposal TTXGP Ltd announced in late November, 2009 – without prior consultation with the Department – their plans for an event in Paris which conflicted with the TT period and effectively prevented TTXGP from participating in the allotted schedule in TT 2010. "On 21st December 2009 TTXGP Ltd advised the Department that due to their plans for Paris and their consequent inability to participate in the scheduled race in TT 2010, they proposed not to have a clean emissions race in TT 2010 and would aim to come back to the TT in 2011. TTXGP were advised that if they could not reschedule their proposed Paris event, in order to attend TT 2010 for the scheduled date, the Department would develop and manage its own clean emissions race. This was confirmed to TTXGP Ltd on 24th December, and subsequently a meeting between the Department and TTXGP Ltd was held on 15th January 2010. "TTXGP Ltd were invited to reconsider their position regarding the Paris event to enable their participation in TT 2010 on the scheduled date, but declined the opportunity to do so. The Isle of Man Government then confirmed its intention to organize its own clean emissions event and would provide a press release to TTXGP Ltd for any comments. At the request of TTXGP Ltd, the Isle of Man Government deferred the issue of its press release. Immediately after 15th January, the Isle of Man Government initiated its contingency plan in order to organise its own clean emissions race. "The Isle of Man Government made a significant investment in the TTXGP in 2009, both financially and through officer time across a number of departments. In order to protect this investment, the Isle of Man Government’s Council of Ministers decided that if the Department was unable to reach agreement with TTXGP Ltd that it should run its own event. Regulations for the new event, TT Zero, were issued this week. This race will be run as a stand-alone class as part of the 2010 Isle of Man TT races meeting. "The Department is confident that with the support of the teams and riders, and the experienced third party agencies that are involved with running the TT Races, they can build on the 2009 TTXGP race. "The teams and riders will now have direct access to funds from the Isle of Man Government to assist with their travel and other costs associated with their participation and will also benefit from the integral association with the TT races that the event will now have. "The Isle of Man Government remains totally committed to clean emission motorcycle racing and the development of the technology that is associated with clean emission machines." “I can only say that we are sorry that we won’t be there. I want to say deep heartfelt thank you to the many many people from the Isle of Man who have sent us messages of support and encouragement. “I can confirm the question of Paris or issues of financial packages were not factors in the decision making and am disappointed that it is being suggested so. We remain surprised about the decision as we did everything possible to make this happen. The decision to downgrade the zero carbon class and replace it with a vintage bike parade was made solely by the Isle of Man.